A new introduction for 2019 . 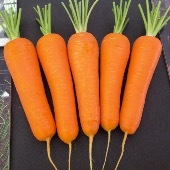 Carrot Tangerina F.1 - Kuroda x Nantes is an excellent carrot with amazing deep orange colour . Excellent eating qualities. 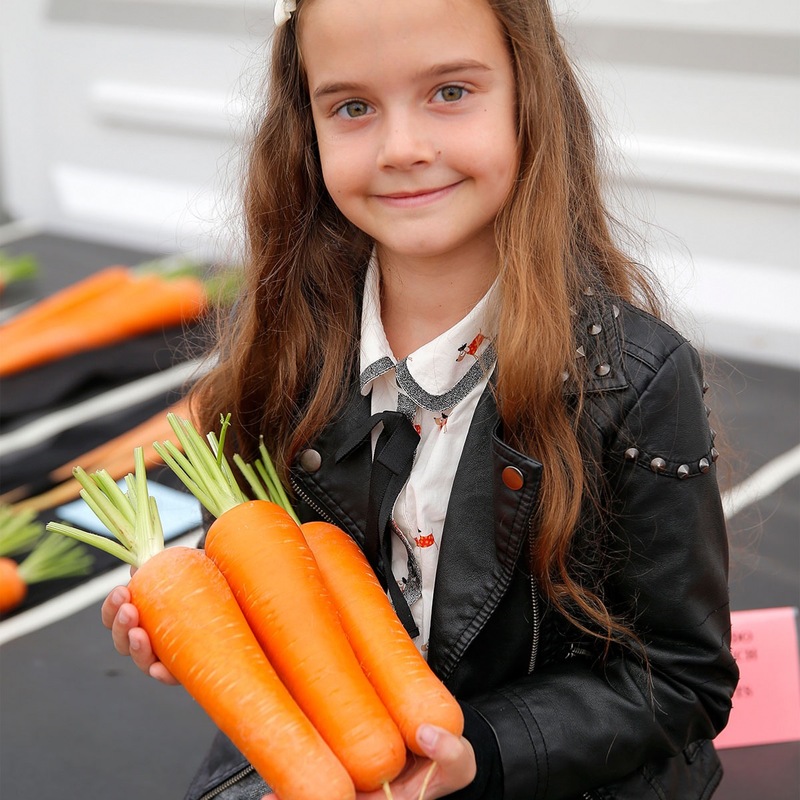 When grown well it will make a great show carrot for the village show and the championship shows. Best grown under protection in a relatively warm environment. Avoid large temperature variations and erratic watering, this causes carrots to split. 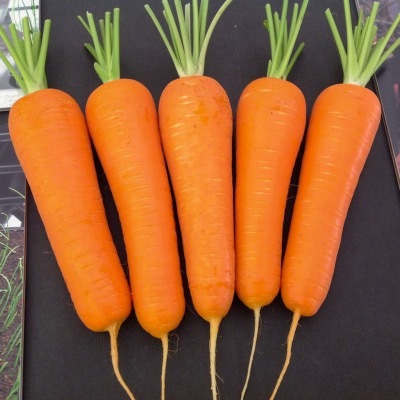 In order to get quality carrots for exhibition you must sow in raised beds filled with excellent quality John Innes No 2 soil . Nantes and Stump rooted carrots grow well under cover where they are warmer. The best growers often grow them along the edge of their leek beds under cove. You can also use large 30 litre pots filled with John Innes No 2 In all cases you will have beautiful carrots for eating and showing.